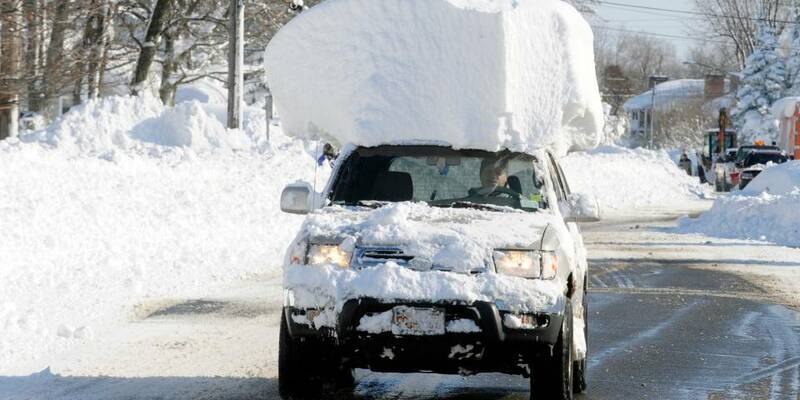 SB58 – Clean the Snow and Ice off your Cars! When common courtesy is ignored by people too narcissistic to care about others in society, that is where the law intervenes. Senate Bill 58 will require you idiots on the road to remove all ice and snow from your car before you start driving around and endangering others. Failing to do so would lead to a fine of $25 to $75 if the bill passes. Costs would be greater should snow or ice on a car cause injuries or property damages. In that event, private drivers would face a fine of up to $1,000, while truckers could be penalized to the tune of $1,500. Nearly identical legislation passed the Senate with no opposition in 2016 and 2017 but never received a vote in the House. One of the most dangerous things ever is to drive behind a tractor trailer that is shedding snow and ice. As I understand this, the ticket is the Officer’s Choice, so if PD is otherwise occupied, they don’t have to ticket cars or trucks, but if they make a safety judgement they have this tool.